CAFE, DINER, RESTAURANT, SELF SERVICE, HOT DOG STAND, HAMBURGER STANDS, KETCHUP AND MUSTARD SQUEEZE BOTTLES, PRICE PER ITEM..
CAFES, BARS, RESTAURANTS, SUGAR CUPS, WHITE CERAMICS, STANDARD, PRICED INDIVIDUALLY..
CAFES, BARS, RESTAURANTS SALT AND PEPPER SETS, STANDARD TALL NECK GLASS AND METAL HEAD, PRICED INDIVIDUALLY..
CAFES, BARS, RESTAURANTS, WHITE CERAMICS MILK, CREAM JUG..
CAFES, BARS, RESTAURANTS, STAINLESS STEEL SMALL MILK, CREAM JUG, TEA TABLE JUG..
CAFE, EXPRESSO COFFEE SET, HALF DOZEN WHITE PLAIN PORCELAIN CUPS AND PLATES ON METAL FRAME ORGANIZER, PRICE SHOWN FOR SET OF 6..
CAFE, COFFEE CUP AND PLATE SET, SMALL EXPRESSO, RESTAURANTS, COFFEE SHOP, WHITE PLAIN PORCELAIN, PRICE SHOWN PER SET OF PLATE AND CUP..
CAFE, COFFE AND TEA SET, WHITE PLAIN PORCELAIN, SMALL COFFEE CUPS AND SAUCERS, CERAMIC SPOONS PLUS CAKE PLATES HELD ON METAL ORGANIZER, PRICE SHOWN PE..
CAFE, OUTDOOR METAL AND MESH BLACK FOLDING TABLES (X4), X 12 MATCHING CHAIRS AVAILABLE, CAFETABLE..
CAFETABLE, CAFE, CAFE', DINER, TABLES, BISTRO TABLE, PATIO, PORCH, WOOD SLATS WITH METAL FRAME,X 6 TABLES AVAILABLE, X 14 MATCHING CHAIRS AVAILA.. TABLES, DINING, BAR , BISTRO, CAFE', FURNISHINGS, FURNITURE, RESTAURANT, SILVER "SWIRL" TOP, ALUMINUM TRIM, STEEL BASE, 2 X AVAILABLE, ALSO AVAILABLE .. TABLES, CAFE, RESTAURANT, BAR, BISTRO, DINING, FURNISHINGS, FURNITURE, 2 X WHITE, AVAILABLE, 2 X BLACK AVAILABLE, EURO, WHITE LAMINATE WOODEN, TOP WIT.. TABLES, CAFE, DINING, RESTAURANT, BAR, BISTRO, BLACK LAMINATE WOOD TOP, ALUM TRIM, STEEL BASE, FURNISHINGS, FURNITURE, EURO, 2 X WHITE ALSO AVAILABLE,.. TABLES, CAFE, CAFE', DINING, BISTRO, RESTAURANT, BAR, DINER, FURNISHINGS, ALUMINUM BASE W/ STAINLESS STEEL TOP & SIDE TRIM, x 6 AVAILABLE, OAB?.. CASH REGISTERS, GROCERY, CHECKOUT, SUPERMARKET, STORE, BUSINESS MACHINES, RESTAURANT, DINER, OTHER STYLES AVAILABLE.. CHAIRS, ALUMINUM, PATIO, BISTRO, EUROPEAN CAFE, CAFE', WITH ARMS, AS SEEN ON CNN LARRY KING LIVE FROM SAN QUENTIN PRISON, STACKING, CAFECHAIR.. 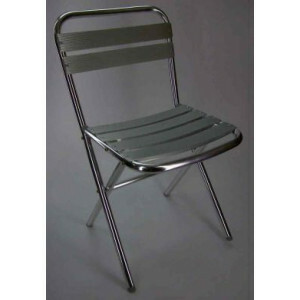 CHAIRS, CAFE', DINING, PATIO, FOLDING, BISTRO, EURO STYLE, FURNISHINGS, FURNITURE, 8 X AVAILABLE, CAFECHAIR..
CAFE, RESTAURANT, BLACK METAL PATIO CHAIR, EXTERIOR CAFE CHAIRS, CAFECHAIR, STACKING, X 12 AVAILABLE, MATCHING TABLES AVAILABLE.. RESTAURANTS, CHAMPAGNE BUCKET, COOLER, ICE CHEST, WINE COOLER, STAND ALONE CHAMPAGNE COOLER, FINE DINING, STAINLESS STEEL.. 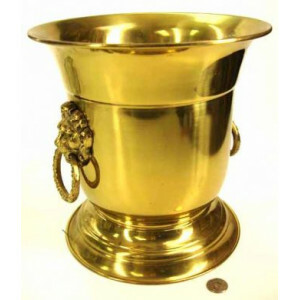 RESTAURANTS, HOME DINING, CHAMPAGNE COOLER, ICE BUCKET, TABLE COOLER, ELEGANT BRASS WINE OR CHAMPAGNE COOLER..